Eye exams at Vold Vision in Northwest Arkansas are so advanced and comprehensive, we call them 360-Eye Exams. These exams look at the eyeball from all angles. Dr. Steven D. Vold and his board-certified team of ophthalmologists and optometrists can determine if you need glasses, are a candidate for laser surgery, or are at risk for diabetes, high blood pressure or strokes – all based on what they see inside your eye. The goal for our 360-Eye Exams is not just to give you an exam, but also to establish a lifelong relationship where we periodically and carefully track your vision treatment so you can enjoy sharp and clear vision for your entire life. "I had my first appointment with VV today. Great experience and the staff is super friendly and very professional. If you're looking for a new eye care professional, check these folks out! I'm extremely pleased with the care I received." Every person, regardless of age or physical health should consider themselves excellent candidates for regular Vold Vision 360-Eye Exams. Adults should have an eye exam every 1-2 years and seniors over the age of 61 should have annual eye exams. Even children should consider having eye exams. Statistically, up to 10% of preschoolers and up to 25% of school-aged children have vision problems. According the American Optometric Association, every child needs an exam at 6 months of age and again at the start of school. If your child has no vision issues, it is still recommended to have their eyes examined every couple of years. This is especially important now since children are using digital devices at an unprecedented rate which is causing a dramatic increase in myopia and nearsightedness. Your 360-Eye Exam will start with a visual acuity test to measure how sharp your vision is. This will typically be followed by a cover test which is a simple way to see how your eyes work together and rule out strabismus – a misalignment of the eyes. We will have you focus on an object and then observe the position of your eyes while covering and uncovering each eye. Then you will have an Ishihara color blind test which detects color vision deficiencies and helps to identify other eye health problems. To assess your eye movements, you may be asked to follow a small light with just your eyes while holding your head still. You will then have an exam with a slit lamp to give Dr. Vold a magnified, 360-degree/3D view of the front of your eyes, including eyelids, cornea, conjunctiva, iris and lenses. You will also have non-contact tonometry (air-puff) test to measure the pressure inside your eyes to assess your risk of glaucoma. Dr. Vold has other methods of testing for glaucoma as well. Finally, during the refraction portion of your eye exam, you will choose between a series of paired lenses to fine-tune your eyeglass prescription, should one be necessary, for the sharpest possible vision. 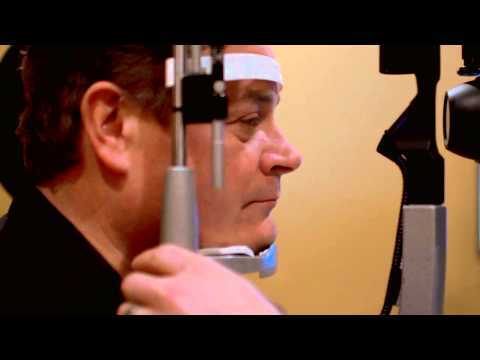 Dr. Vold and his team may also perform additional tests to thoroughly evaluate your vision and eye health, such as pupil dilation, to make sure we have an accurate diagnosis of your vision. Some people have an impression that eye exams are too expensive. However, many insurance plans, including Medicare, cover some, if not all our 360-Eye Exam services. Vold Vision also offers many convenient financing options. Other people may think that since they “see fine already” that they can skip eye exams. However, visual acuity is only one aspect of a 360-Eye Exam. Our team can also detect many other conditions about your vision and health before you are aware of them. Others feel uncomfortable about the “air puff test,” even though it is painless and contactless. People with children may think they don’t need an eye exam since their pediatrician did an eye exam. However, there is just no substitute for a Vold Vision 360-Eye Exam. Only someone with the experience, qualifications and leading technology like Dr. Vold and his team can truly provide comprehensive eye exams. If you or someone you love is due for an eye exam, a comprehensive Vold Vision 360-Eye Exam will provide valuable information into the health of your eyesight. Vold Vision takes pride in establishing life-long relationships with patients and offering them the latest eye exam techniques to guard against any issues developing. We invite you to call either of our Fayetteville or Bentonville practices and take care of your eyes so they can take care of you, for years to come.